The TDA-2E is a completely self contained near forward light scattering linear photometer. 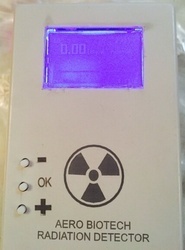 The TDA-2EN Particulate Detection Unit is a near forward light scattering photometer based on the TDA-2E, but modified for nuclear use. The sampling system and, in particular, the smoke chamber component of the scattering chamber, is designed so that the individual components can be easily replaced in the event of contamination. 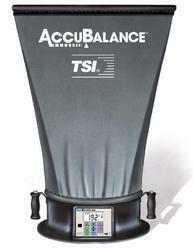 We are involved in offering an extensive range of Sound Meter. Our products are developed by professionals under the leadership of adroit professionals in compliance with universal industry standards. 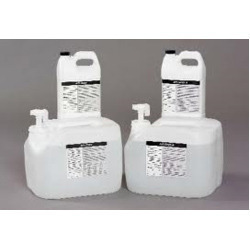 Our product is enormously utilized due to their strong nature. Our product is available in diverse configurations that meet on industry norms. With the aid of experts, we present a wide range of Air Capture Hood. Our products are available in diverse configurations. These are developed at high tech development unit that is rooted with advanced machines. Our products are extremely employed by our customers for their sturdy nature and top performance. Our provided range of products is examined on definite quality norms before its ship. Biological Air Sampler is a kind of high effective sampler. In the upper part - including the sampling head, culture dish pedestal, sampling pump, sampling pump pedestal, sampling pump power supply. In the lower part - including the controlling plate, memory, LCD monitor, Keyboard, battery package. The sampler can be used with AC/DC. There is a switch and jack at the back bottom of the instrument. When instrument is used on DC, switch is on for the battery supply. When used on AC supply, Plug in the equipment to 7.4 AC adapter. When the switch is on, it's under the status of charging. 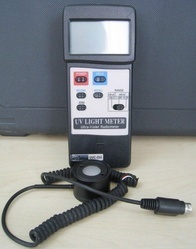 The 2H is the latest digital photometer available in a portable self-contained unit. The 2H has been designed with the user in mind for simplicity of operation and virtually maintenance-free use. Its basic purpose is to detect and measure mass concentration of aerosol. 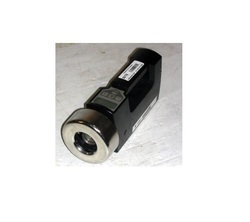 Three-stage airflow sensor and optics indicator lights improve data reliability. The microprocessor-controlled 2H enables the operator to quickly set operating functions and parameters. It is easily programmed and operates with just 7 push buttons. The digital display has a set-up menu and diagnostic codes for operator convenience. The range of concentration measurable is from 100 to 0.0001 µg/l. The 2H has two pre-set reference values (DOP & PAO) for aerosol agents as well as a USER setting, which allows storage of a sampled concentration to be retained as a reference value. Aero Bio techniques assets includes range of particle counter from 2 cfm to 0.1 cfm particle counter with variable sensitivities for range of applications. Please check particle counter section for more details. If more than 20 psig is used, the output concentration will increase and conversely, if less than 20 psig is used, the output concentration will decrease.